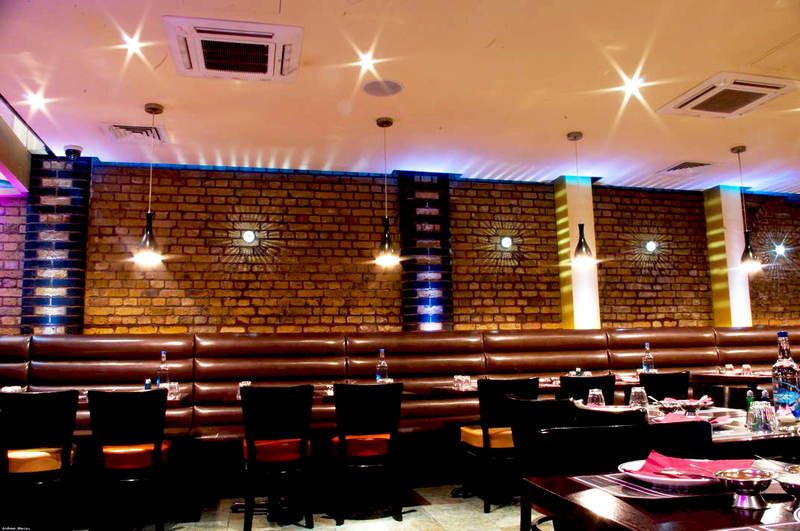 Founded in 1972 Tayyab’s is a family owned and run business in Whitechapel serving the finest in Punjabi cuisine. From exquisitely spiced curries to our world renowned mixed grill and sizzling lamb chops, each dish has forged its place in history. Beginning the story in a small Café, Tayyab’s grew into the space you see today, formed of three premises to create the vibrant atmosphere, and yet intimate experience so closely associated with our beginnings. Watch as our waiters weave their way through both the past and present, hurriedly delivering our mouth-watering and passionately crafted dishes. Today Tayyab’s is run by our three sons, Saleem, Aleem and Wasim each of whom are passionate about each and every dish that leaves the kitchen. 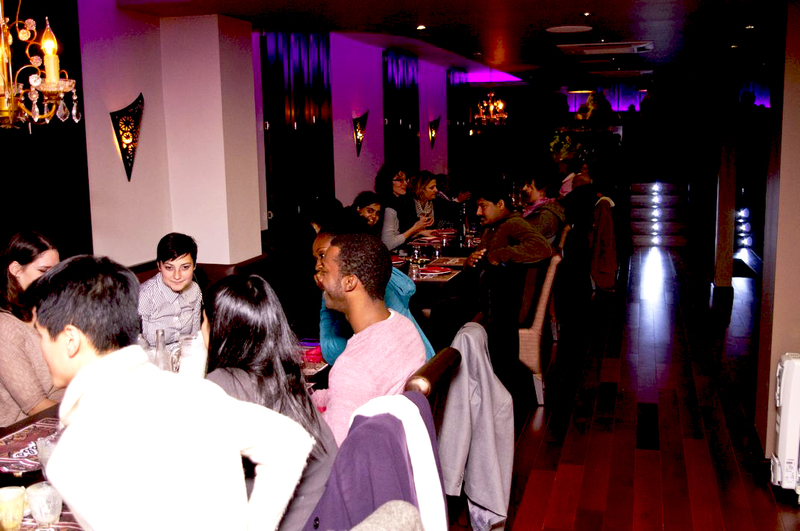 Quality dishes served at the highest level, becoming one of the most celebrated restaurants, not just in Whitechapel but in London. When it comes to our food our mixed grill is a huge favourite, and this will become not just your first tantalising step into our food, by the second, third, and fourth. Fulfil your missing experience; don’t leave without having tasted our mixed grill. 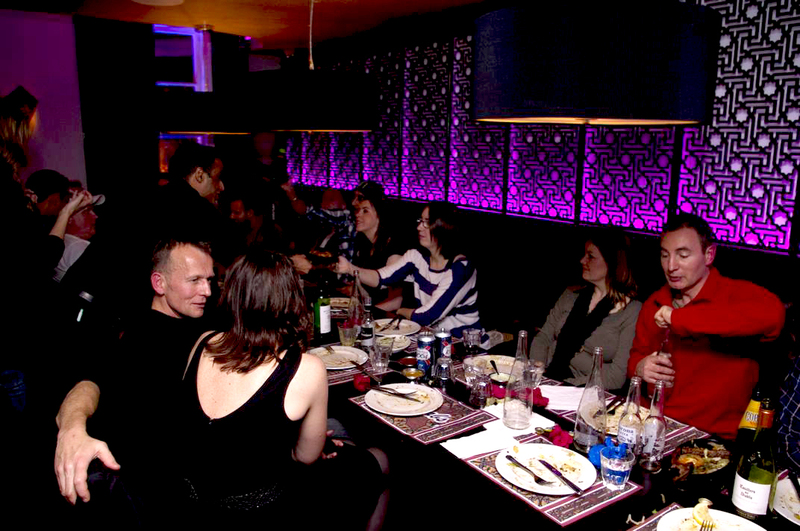 Tayyab seems to be an East London institution as much as a restaurant. It has expanded out of its original Whitechapel premises into what was the pub next door, and yet still the tables are filled. On this hot August weekday there was a long (and I mean long) queue of people waiting for a table, though you can make a reservation if you want to avoid this. The tables are crammed in and there are no fripperies like tablecloths: plain wooden tables, plain wooden floor. 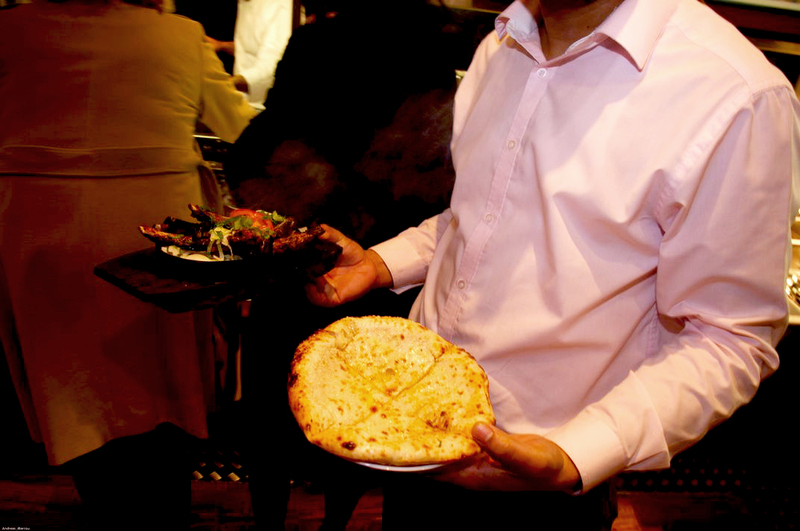 The Pakistani (Punjabi) food offered here is based around the tandoor and the karahi (i.e. iron wok used for stir-frying). A pair of popadoms appear as soon as you sit down, though these are actually a chargeable item at 60p each, along with some standard out-of-a-jar chutneys. Starters are familiar classics. 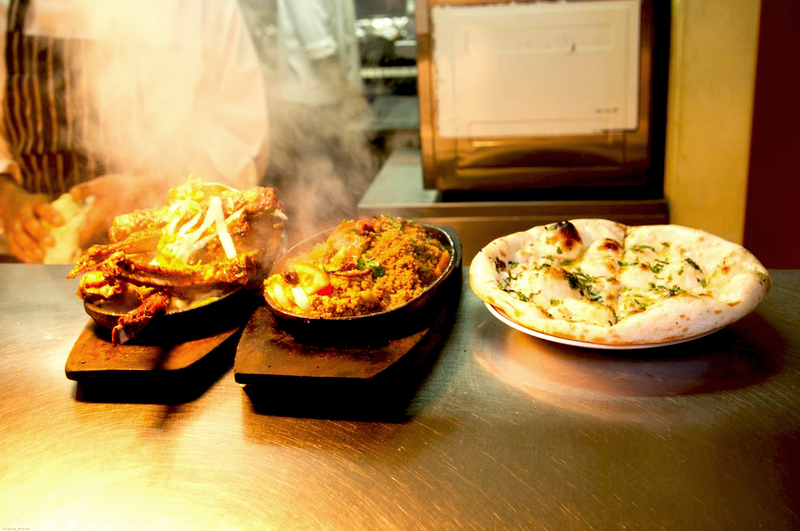 We tried chicken tikka and masala fish, both served on a sizzling iron griddle. The chicken tikka (£2.80) was quite good, marinated in spices and cooked properly, though the chicken itself was not of very high quality (12/20). Masala fish (£5.50) was cooked a little too long but was fine (11/20). A main course of king prawn karahi (£12) had some distinctly ordinary prawns cooked a little too long, served with a few vegetables and swimming in ghee (barely 11/20). A bhindi (£5) was of the soggy variety, also sitting in a pool of oil (10/20). Saag aloo (£4.80) was better, the potatoes nicely cooked, the spinach and spices working well together (12/20). Tinda masala (stir fried round gourds) was cooked well enough, with a hint of sweetness from the tinda (11/20). Rice was fine (12/20) but a naan (90p) was rather stiff in texture (11/20). Given the queue I could understand that we were not meant to linger, but serving our main course when we were barely halfway through our starter was not really on (nor practical, since our tiny table could not accommodate all the dishes at one time). There are just token desserts e.g. bought-in kulfi, so we didn’t want to hold up the anxious waiting staff any further from their table turning and stopped at the main course. You can bring your own alcohol to the restaurant, but we just had water and a single (good) sweet lassi. The bill for two despite the lack of drinks was still £39.70, which is OK but hardly the kind of rock-bottom pricing that can be found in some other East End places, or in Southall, or indeed Euston. Overall I liked the spicing, but there was a recurring theme of overcooking and over-use of ghee, while the bhindi was simply bad. There seems to be a near-religious fervour amongst fans of this restaurant (I am dreading the incoming comments), but it seemed to me merely mostly decent cooking, served at a gallop. Good quality of food with good value. Excellent - visit all the time! Probably the worst food and service I've ever experienced. The waiters were arrogant and rude and the lamb chops I ordered were bland, dry and the meat was very chewy. Would definitely not recommend this restaurant to any one. Although the food was great the whole dining experience was ruined as it felt like we were being rushed, the food appeared way too quickly and didn't give us a chance to take in the atmosphere and enjoy ourselves. Even though the restaurant was very busy we were seated fairly quickly (we did have a resevation - which is essential on Saturdays). The food is nice. But the waiters' attitude is appalling. You have to ask for everything at least TWICE. They are unfriendly and not concerned with delivering good costumer service. we had a great night, thanks! Masala fish was excellent. Even on Saturday we obtained a table at the appointed time. Good food and certainly did not disappoint however was let down by being put on a table near the door. The service was a little hurried and wasn't enough room on our table for the dishes, this did not seem to concern the waiter. However I have to end on a positive the starters were awesome the nan was so fresh and the chicken tasted succulent.. I hope I get a call so I can get a better seat next time and write another review with no negatives.. Try Tayabs and marvel in its authentic cooking which deserves its reputation that precedes it your taste buds will not be disappointed.. Always great food and swift service, only thing that would make it better is slightly more legroom! Had to wait more than 30 min for the table in a crowded area despite having booked. Service was surly, but not down right rude, which had been a previous experience. The food is so good and cheap that I would consider braving it again. Amazing - please open a restaurant in Brighton - it would be a different class! I'm sad to say that I was rather dissapointed with my expereince of Tayyabs. The food was ok, but nothing special. The service was the worst. The waiter was not polite or friendly and made our group feel rushed. The starters and main all came out at the same time and some of us were eating our main before our starter. It felt really rushed and as soon as we finished deserts, they slapped the table with our bill and rushed us to leave. I had the masala fish for starter which was dry and the lamb chops for main. Although this was tasty, the meat was not as soft as I was hoping it would be. 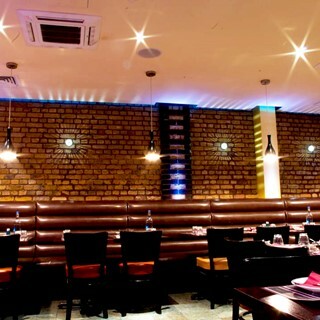 I dont think I would visit Tayyabs again.